The seeds of the Master Gardener Program were sown during the early 1970s in the Pacific Northwest when agricultural extension faculty at Washington State University began receiving an increasing number of plant-related inquiries from homeowners. The educators had primarily been delivering programming on crop production and commercial horticulture, but as local communities flourished, it led to a surge of interest in urban gardening. 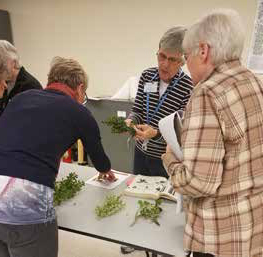 The idea of creating a cadre of trained volunteers who could work in communities to meet the overwhelming demand for information and assistance with backyard gardening led to the first class of Master Gardeners. UConn Extension’s Master Gardener Program sprouted from these roots in 1978. 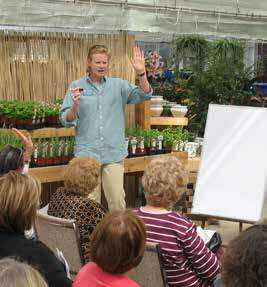 The program instructs participants in science-based horticulture practices and garden management, after which students apply their knowledge by engaging in community education, including lectures, educational displays, demonstrations and plant clinics, and various outreach projects throughout Connecticut. UConn Master Gardeners are celebrating forty years of transforming academic research into practical gardening skills and techniques that everyone can use.